Radio host Rush Limbaugh thinks former Vice President Joe Biden is the Democrats’ best hope for winning the 2020 election — but he said Biden has no chance of defeating President Donald Trump. Limbaugh was on Fox News’ “The Story” and gave host Martha MacCallum his early thoughts on 2020. “I remain stunned and amazed that the Democrat Party and the media still do not understand who Donald Trump is,” Limbaugh said. “They don’t understand how he won, they don’t understand how he is going to win again in 2020. They don’t understand the people who voted for him or why. They hold all of that in contempt. Limbaugh then wondered aloud how much Biden really wants to be president. The 76-year-old worked in Washington for more than 40 years as a senator and the vice president and has already run for president twice. Biden is expected to announce his candidacy for president this week. South Bend, Indiana Mayor Pete Buttigieg will be on a Fox News town hall event May 19 in New Hampshire, The Daily Beast reported Tuesday. He will be the third Democratic presidential hopeful to participate in the Fox News-hosted forum. Sen. Amy Klobuchar, D-Minn., also announced she would would be on a May 8 Fox News town hall. “We look forward to hosting Mayor Buttigieg in New Hampshire and again showcasing our first-in-class journalism and election coverage,” Jay Wallace, president and executive Editor of Fox News, said in a statement, The Daily Beast reported. Billionaire Democratic donor Tom Steyer is launching a new 30-second television ad urging that President Donald Trump be impeached, Politico is reporting. The ad is costing Steyer’s Need to Impeach group $325,000. It will be shown nationally on MSNBC and CNN and on Fox News, CNN and MSNBC in the Washington, D.C. area, according to Politico. House Speaker Nancy Pelosi knows the ramification of impeaching President Donald Trump, as she knows that attempt will be seen by half of Americans as a “limp attempt at a soft coup,” talk show host Joe Concha said Tuesday. Democratic presidential candidate Elizabeth Warren, by making a quick call for Trump’s impeachment, is throwing a “Hail Mary,” even though it’s early in the primary game,” Concha added. Meanwhile, Pelosi was in Washington during the impeachment proceedings for then-President Bill Clinton, at a time when Republican cited obstruction of justice as one reason they wanted him removed from office. “Everybody knew it was all for show because there was no way at that time lawmakers were able to get two-thirds of the Senate to remove that president,” said Concha. The day after Clinton was impeached, his Gallup approval rating was at 73 percent, and when he left office, it was at 65%, because he was seen as a sympathetic figure, he added. The Democrats’ strategy for presidential primary debates is flawed, former White House press secretary Sean Spicer says. Spicer made his remarks in a column published Tuesday in The Wall Street Journal. “Recognizing the growing role of debates in shaping the race, the Republican National Committee in the 2016 election cycle asserted more control over their structure,” Spicer said. “Now Democrats are trying to do the same, but they’re likely to fail where the GOP succeeded. However, he said the “biggest threat” to the Democrats’ plan will likely come from the fact that the party excluded Fox News from hosting a debate. Spicer said Fox recently broadcasted a highly rated town hall meeting with Sen. Bernie Sanders, I-Vt., who is running for the Democratic nomination. And he said Fox News could host its own debates without adhering to the DNC rules. “With 2.4 million prime-time viewers, it would be near impossible for many candidates to say no, especially those near the bottom looking to break out,” he said. 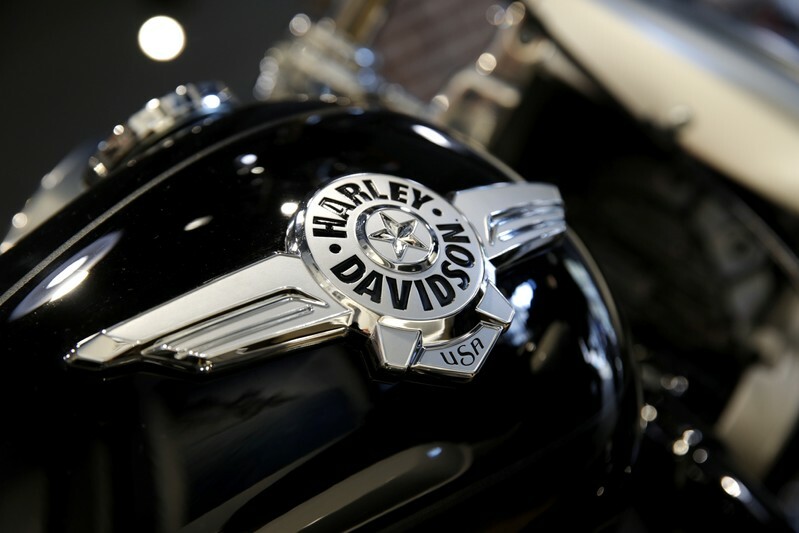 President Donald Trump on Tuesday appeared to reverse course on Harley Davidson Inc., saying European tariffs facing the motorcycle manufacturer were “unfair” and vowing to reciprocate, after urging a boycott of the company last year amid a steel spat. The Wisconsin-based company last year announced plans to move production of its motorcycles destined for the European Union to its overseas facilities from the United States to avoid EU tariffs imposed in response to Trump’s duties on steel and aluminum imports. Trump retaliated by calling for higher taxes, threatening to lure foreign motorcycles to the United States, and backing a boycott of the iconic American motorcycle maker. On Tuesday, Trump appeared more sympathetic, calling the EU tariffs “unfair” but giving no other details about any planned U.S. action in a tweet citing comments by a Fox Business Network host. “So unfair to U.S. We will Reciprocate!” Trump wrote. On Saturday, Trump is scheduled to travel to Wisconsin to hold a campaign rally as he seeks reelection in the 2020 presidential election. Representatives for the White House did not immediately respond to a request for comment on any planned actions, as both the EU and the United States prepared to launch larger trade talks. Representatives for Harley Davidson could not be immediately reached for comment on Trump’s tweet. The company on Tuesday reported quarterly profit that surged past expectations and stuck to its full-year shipment forecasts amid concerns over falling U.S. sales and European import tariffs, sending its shares up 3 percent. WASHINGTON (Reuters) – U.S. President Donald Trump on Tuesday said European Union tariffs facing motorcycle manufacturer Harley Davidson Inc were “unfair” and vowed to reciprocate, but gave no other details. “So unfair to U.S. We will Reciprocate!” Trump tweeted, citing comments by a Fox Business Network host.